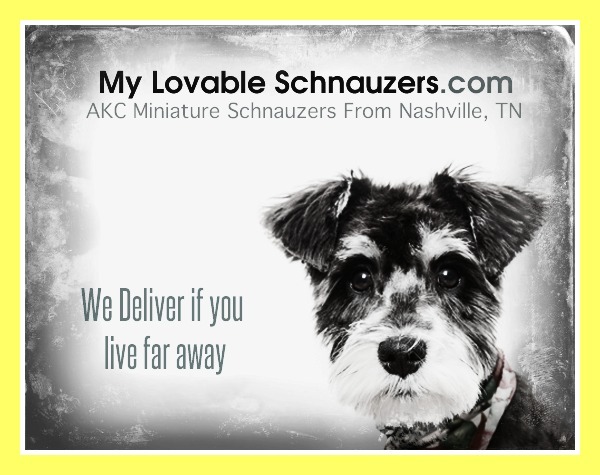 My Lovable Schnauzers is located in Nashville, Tennessee, but we travel anywhere in the US! If you live in a different state, check out the travel options on my Price page and see all the states my puppies live in. I love the Miniature Schnauzer breed. I enjoy raising healthy and adorable Miniature Schnauzer puppies. They are raised in my home and are very well socialized. All of my Schnauzers are an important part of our family. My adult Schnauzers and puppies receive routine veterinarian care. This is a very important part of raising healthy Miniature Schnauzers. Every litter has at least two vet visits prior to going to their new family. All of my parents are OFA Certified for their Heart and Patella's. Health Testing is a vital part of every responsible program. My veterinary clinic is Root Animal Clinic Goodlettsville, TN. 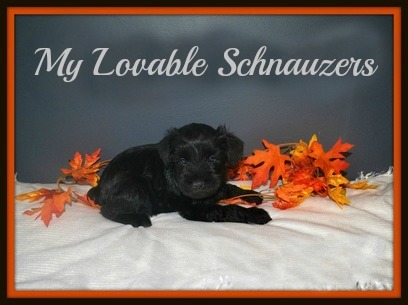 My Schnauzer puppies stay with me until they are at least eight weeks old. I am also always available for you throughout the Miniature Schnauzers life if you have questions. I am very committed to being a responsible breeder. If you have any more questions about my program or the Schnauzer Breed itself -- please feel free to contact me and I will be glad to answer your questions. I also hope you take the time to explore the rest of my website to learn more about my Schnauzers. If you live far away I have travel options on my Price page. I would love to meet you so please call or email to make an appointment. I require all potential families to fill out a puppy application before being approved to place a deposit. Serious inquiries please fill out an application, thank you. I want loving and committed homes for all of my Miniature Schnauzer puppies. If you live far away, I have options for delivery.